In 1913, more than eight centuries after she died, Hildegard of Bingen got a migraine. During her life she had admitted to long periods of illness, but this was something quite new. A young scientist and historian, Charles Singer, was in Germany looking at the stars, shimmering points of light, and crenellated figures that characterised some of the 35 illuminations in the twelfth-century manuscript of Scivias (c.1165). He ‘recognised at once that the figures… resembled descriptions by patients of what they had seen during attacks of migraine’. Having lost the original essay when he abandoned his luggage trying to escape Germany after the outbreak of the war, Singer re-wrote his article from memory, and published his ideas in the first chapter of his edited collection Studies in the History and Method of Science, in 1917. Medical historians often find themselves discussing the issue of retrospective diagnosis. At its most basic, this is the practice of diagnosing historical figures using modern biomedical categories. Was King George III’s madness actually porphyria? Did Nietzsche have syphilis? What ailed Jonathan Swift? These kinds of diagnoses have been widely been criticised for reducing historical illness to a parlour game. In a book review in the Lancet, for example, Roger Cooter dismissed retrospective diagnosis as ‘inherently condescending’. Migraine leaves no physical trace, and offers no scope for bioarchaeological analysis, such as can be done with illnesses such as smallpox, or plague: so Hildegard’s migraine derives solely from Charles Singer’s interpretation of imagery and words. It is almost certain that Hildegard would have made no connection between her pains and those of the head disorder that she and her contemporaries knew as emigranea. Hildegard interpreted her illness as divine punishment; Singer saw a functional neurological disorder. In the years following Singer’s diagnosis others identified with Hildegard as a sufferer. 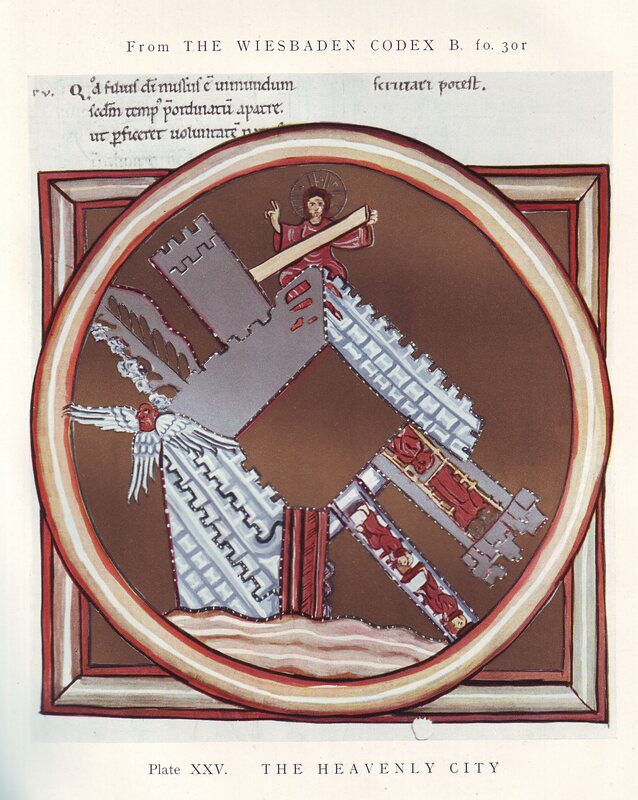 In 1932, for example, R.H. Elliott reported that when he had shown Hildegard of Bingen’s illustrations to several of his patients in consultations, they had recognized features of their own migraine attacks. Hildegard’s images seemed to speak across the centuries. In the late 1960s, a young neurologist, Oliver Sacks, was convinced by Singer’s argument, agreeing that the Scivias images were ‘indisputably migrainous’. The preface to the 1992 edition of Sacks’ book, Migraine (first published in 1970) stated that ‘the chief features of migraine – its phenomena, and how these are experienced by the patient, its mode of occurrence, the triggers that may provoke it, the general ways in which one may live with it or combat it – none of these has changed in 2,000 years’. This was a bold statement, asserting the primacy of neurological understandings of migraine when there were sharp divisions between researchers who thought that migraine was vascular, and those who considered it neurological. The historian Sally Shuttleworth has argued that medical writers have often used ‘clinical legends’ for their own purposes. Sacks’ use of Hildegard might be seen in this way. Once transformed into a ‘case’ by scientific authority, it is impossible to predict the way that these stories then take on their own lives as ‘truth’. For example, in 2000, two Dutch physicians proposed that Pablo Picasso had been a migraine sufferer, based on the details in some of his artworks. A decade later they sheepishly admitted that their suggestion was not based on research of biographies, letters or memoirs of either Picasso or his contemporaries. Their retraction was too late: Picasso had joined Hildegard as a famous sufferer of migraine. ‘I’m sure we can use all the saints we can get… I think some of us just decided that Hildegard would be a good choice’. So, while many historians reject the kind of retrospective diagnosis methods that gave Hildegard her migraine in the first place, I am hesitant to do the same. If we dismiss Singer’s diagnosis outright, we deny the real meaning that people have derived from recognising their own experiences across eight centuries. This post comes from a much longer article that I wrote for the journal Medical History in 2014. This can be read in full, for free, by clicking here. http://loveawake.ru – Знакомства Taxis River. Сайт знакомств Taxis River бесплатно, без регистрации, для серьезных отношений.